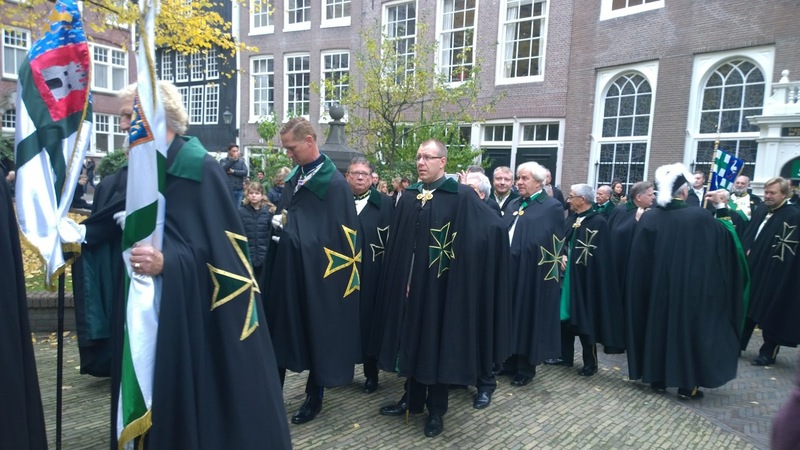 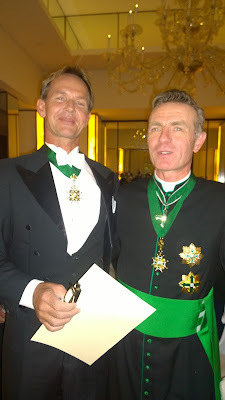 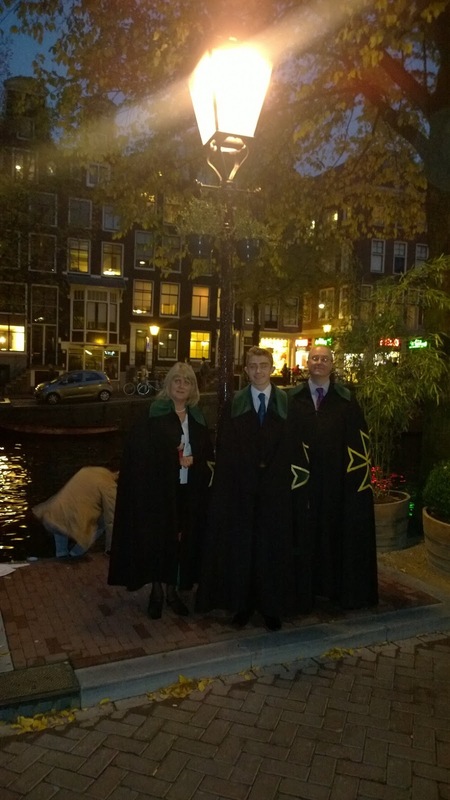 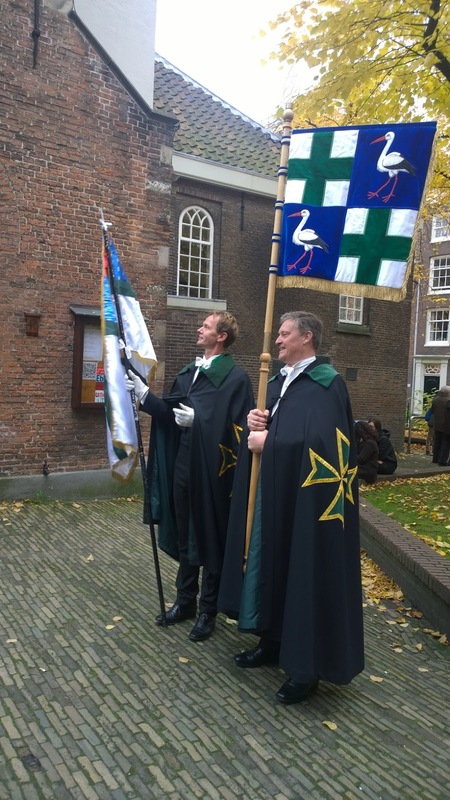 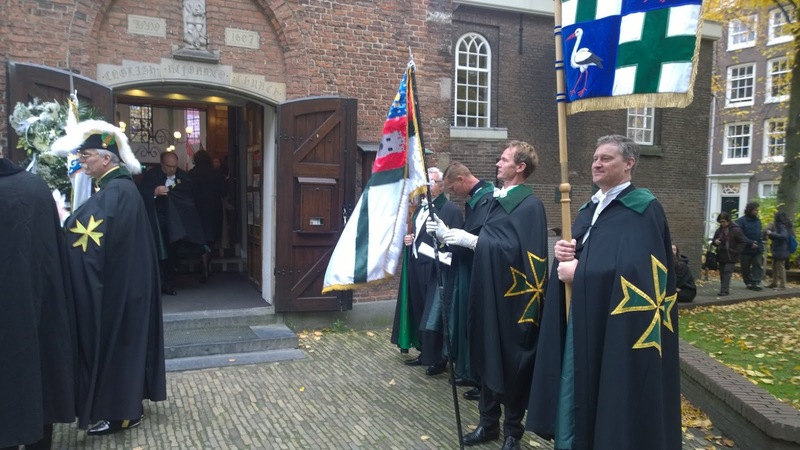 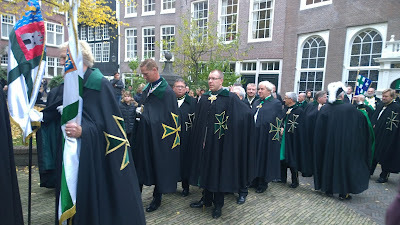 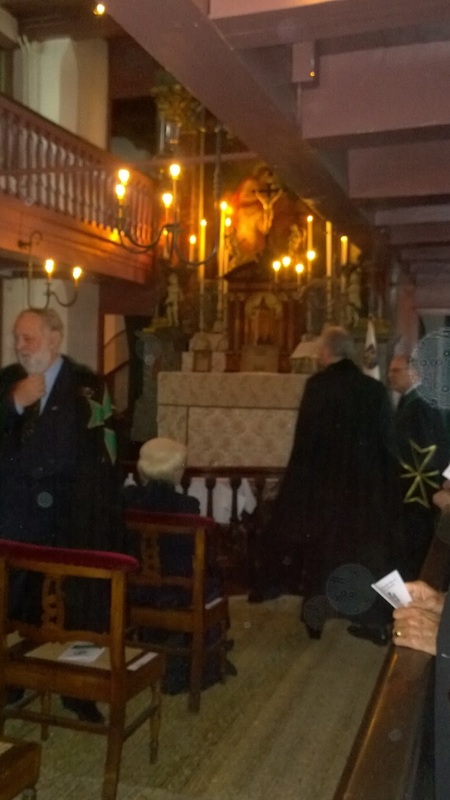 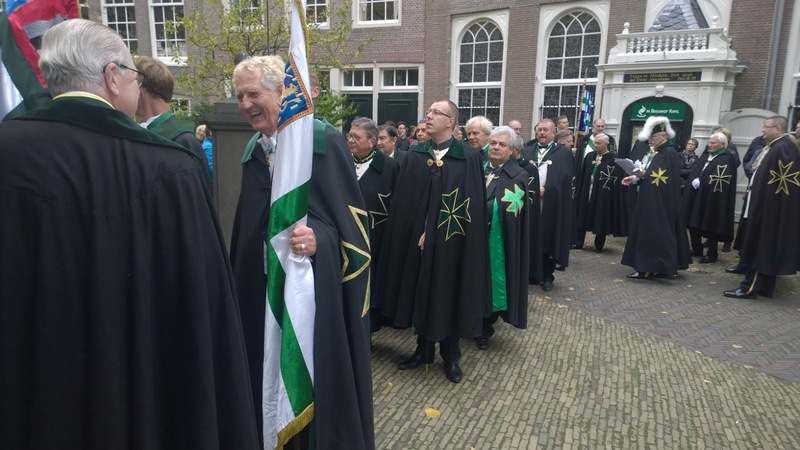 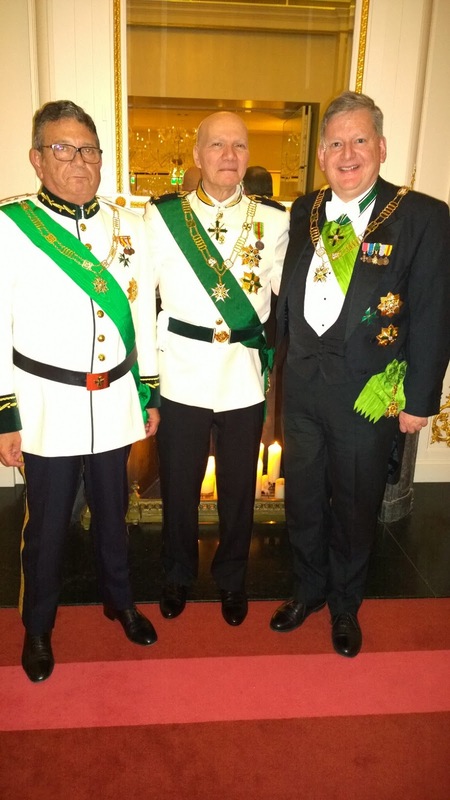 The Grand Priory of the Netherlands held a Vigil and Investiture ceremonies this weekend in Amsterdam, whilst also hosting the international meeting of the Governing Council of the Order. 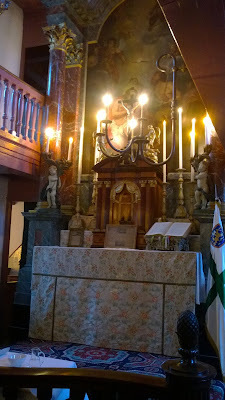 (Ons' Lieve Heer op Solder), a 17th-century canal house, now a museum but with a still functioning chapel in the attic. 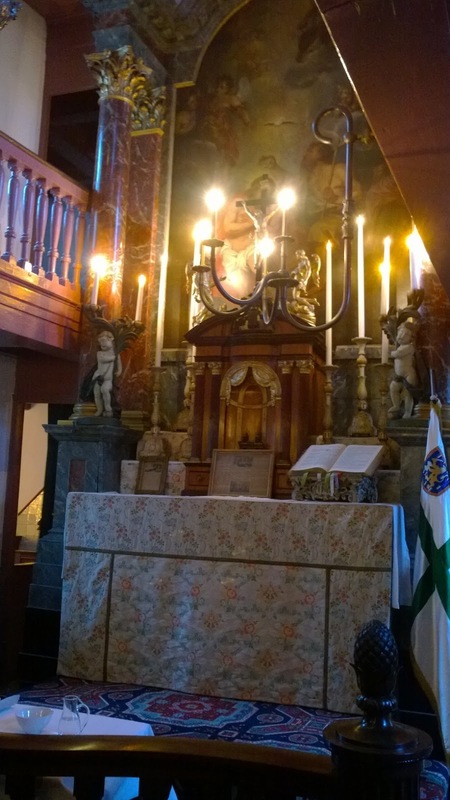 The chapel was built on the top three floors of the canal house during the 1660s; an important example of a "schuilkerk", or "clandestine church," in which Catholics from the seventeenth century, unable to worship in public, held secret services. 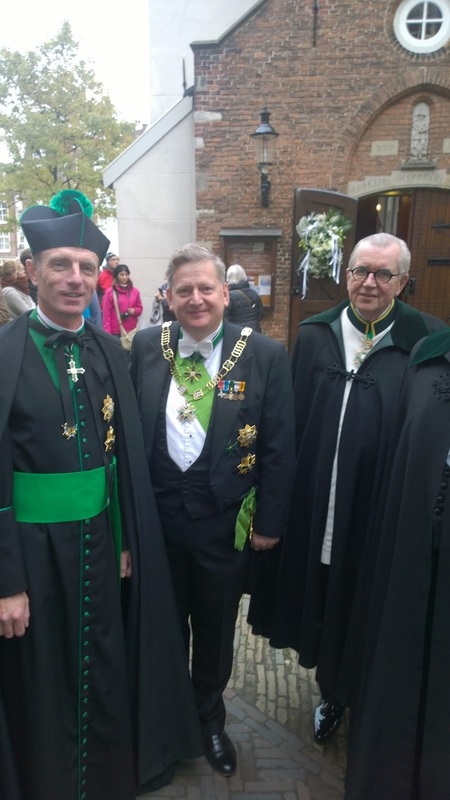 The Grand Master and members gathering for the Vigil. 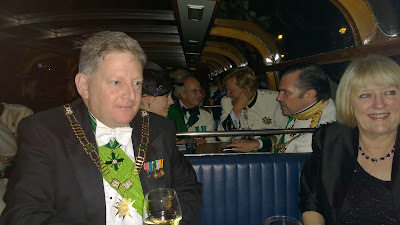 Leaving the canal house for dinner at the Grand Hotel. 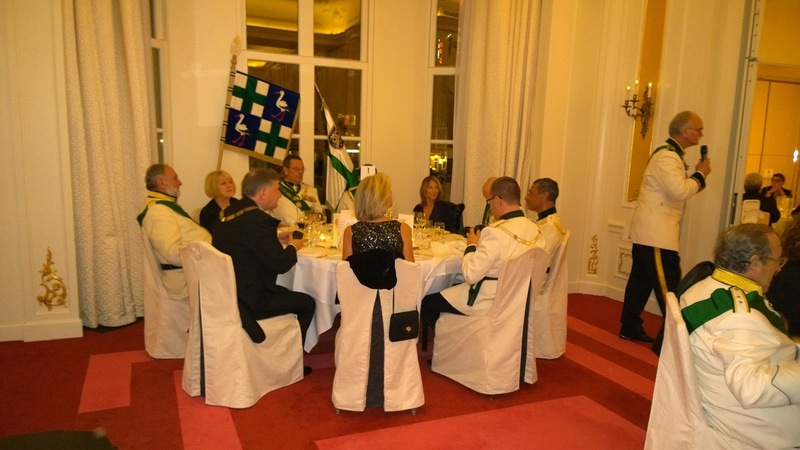 Visiting members of the Order from the Grand Priory of Great Britain. 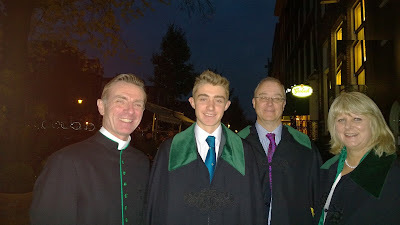 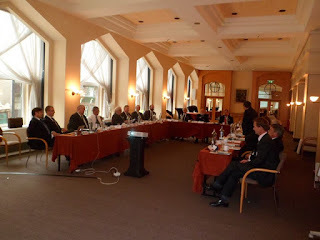 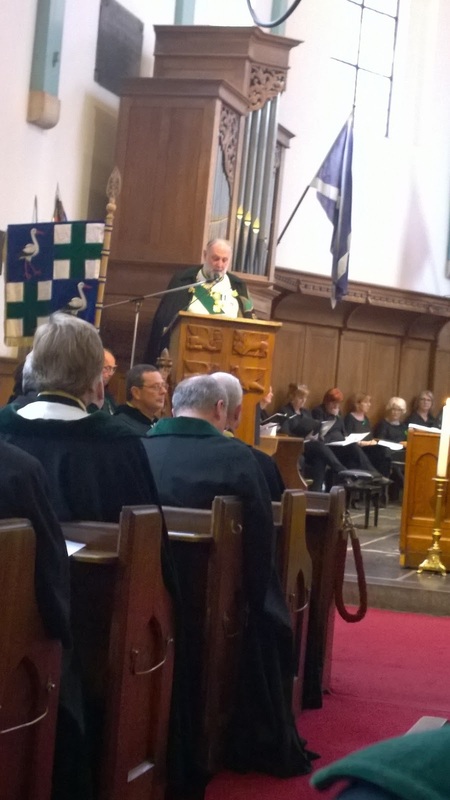 Members of the Grand Council spent the following day in meetings until the evening when we gathered for the Investiture of new members for the Grand Priory of the Netherlands at the English Reformed Church. 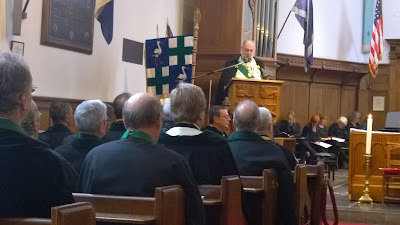 The Grand Master addresses the congregation. 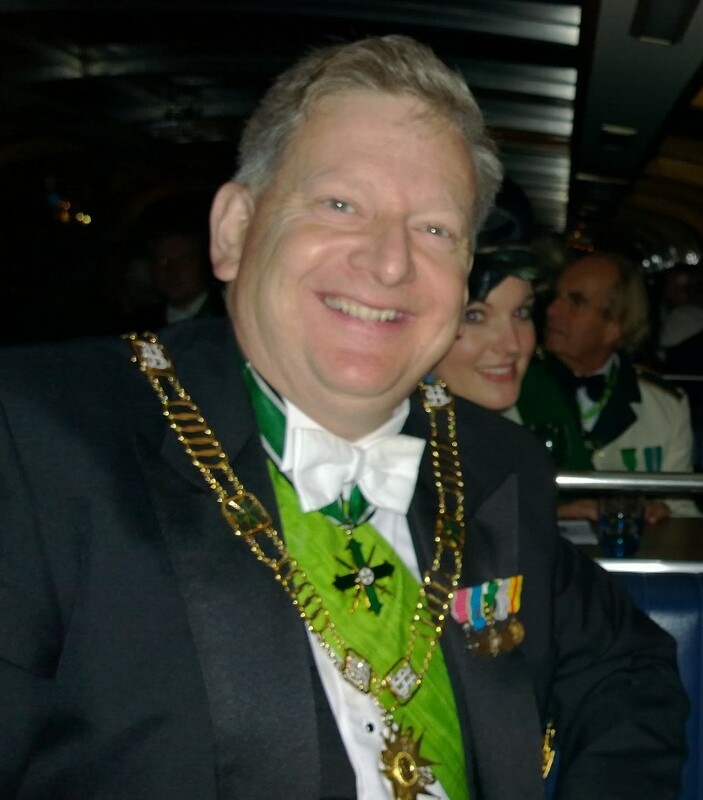 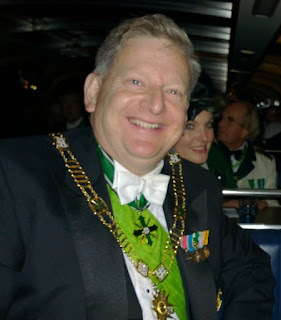 The Grand Prior of Great Britain, the Much Honoured Baron of Fetternear. 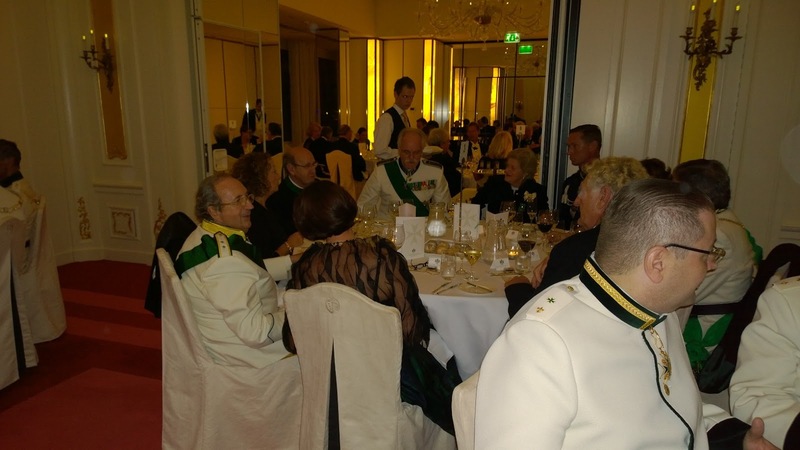 The Grand Master and some of the Heads of Jurisdiction at the Dinner. 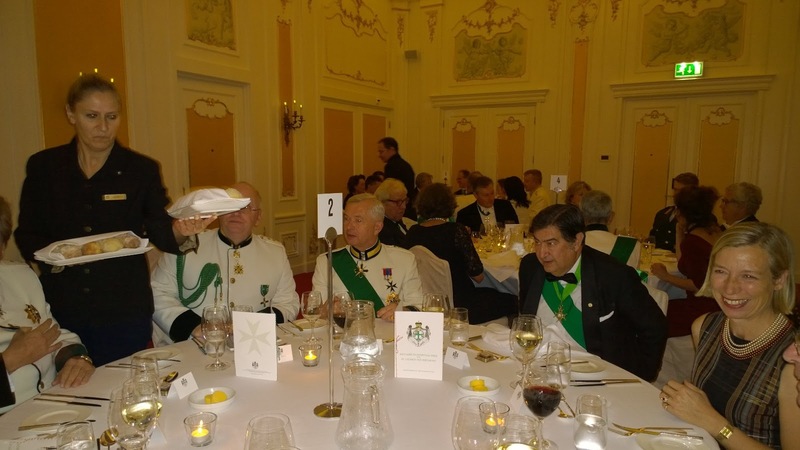 Members enjoying the excellent dinner!